1. 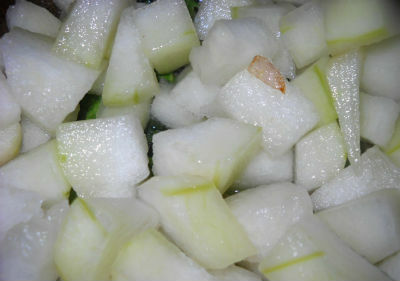 Mix the turmeric powder and 2/3 cup of water with the ash gourd. 2. Transfer to a pan and boil over high heat for 15 minutes till tender. 3. In a bowl, mix the buttermilk, salt and ground paste. Pour into the ash gourd curry. 5. Add curry leaves and remove from heat. 6. Heat oil for tempering and fry the mustard seesds. 7. Add the remaining ingredients and fry for a minute or two. 8. Pour into the curry and mix well. 9. Serve hot with cooked rice. 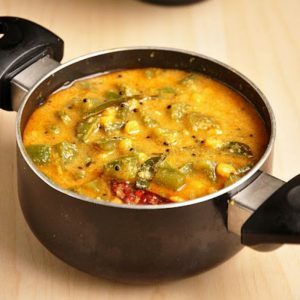 Feel free to comment or share your thoughts on this Ash Gourd Curry with Buttermilk Recipe from Awesome Cuisine.